Mobility is one of the key topics of the future and it is thus essential to continuously install, modernise and maintain catenary systems for passenger and freight transport. With numerous successful reference projects EUROPTEN has proven to be a top-quality leader in this sector and has thereby made a significant contribution to balancing economic growth and environmental sustainability. In particular the internal research & development division with its flexible solutions and the training centre with the specialised and practice-oriented training of our staff are responsible for this success. In the course of the past 90 years EUROPTEN has contributed to the electrification of railways of the Austrian Federal Railways (ÖBB). We have proven our skills and flexibility with new installations (operating speed of up to 250 km/h) and renewal works which were carried out during normal electrical train service on the adjacent track. These projects were carried out on time, in a highly professional way and in top quality. We have also proven our professional skills in projects of the Swiss Federal Railways (SBB) and the Swiss South Eastern Railways (SOB) as well as in the Gotthard tunnel (with a length of 57 km). EUROPTEN develops customised assembly technologies for each project and uses a unique planning software. 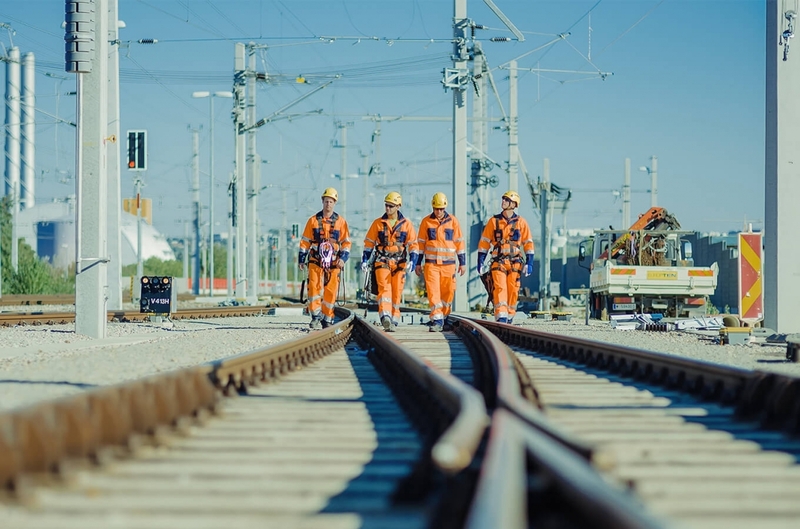 In combination with our solution-oriented staff EUROPTEN guarantees high-quality services and always pays attention that construction works interrupt the train service as little as possible.